Thank you so very much for all your help in the visa preparation for my fiancee Manasana. After reviewing the paperwork, I am quite sure that it would have been quite unlikely that I would have been able to complete it all correctly myself. 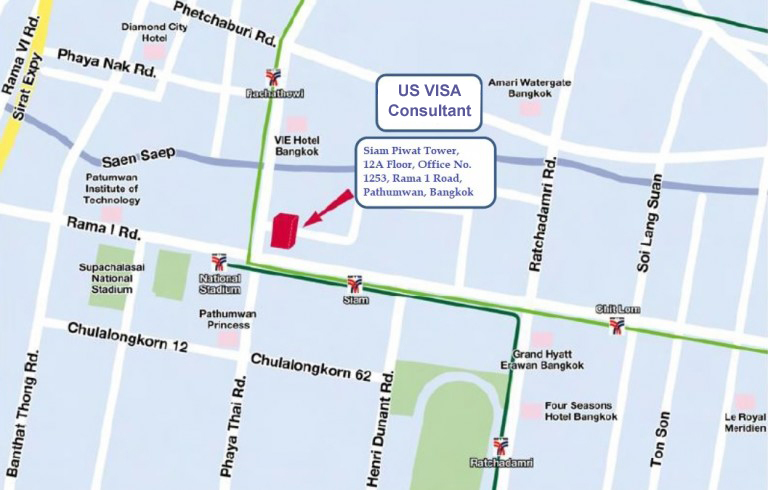 You and your entire staff were very accessible and available to answer any and all questions about the visa process while we were going through it. As anybody who goes through this process will find out, it can be a very stressful for both the sponsor and the applicant. Bringing my fiancee to America was THE MOST important goal in my life. Living apart from somebody you love is very difficult. 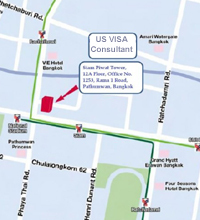 If you have to worry that the law firm you have chosen may neither have the expertise nor the experience to help ensure success in obtaining a visa; that would have certainly made the stress unbearable. You and your staff were able to communicate with me in English and my fiancee in Thai which was very helpful. My fiancee informed me that your staff treated her very well during the entire process. You accompanied her to the hospital for her examination and vaccinations, which made her very much more at ease. Your interview preparation was very rigorous, which made her actual interview seem quite easy to her. That is exactly as it should be. She was very well prepared for the interview. Prior to your interview preparation she was very concerned she might not get a visa, but afterwords, she was confident all would go well. My fiancee is now here with me in Milwaukee, Wisconsin. We will be registering our marriage within the next few weeks. Since we are both Buddhist, we consider the ceremony we had in Thailand as our actual marriage. Registering it legally in the United States is simply a formality for us. Though it will be an adjustment, we are very much in love and cannot begin to say how happy we are to finally be together every day. You and your staff did everything you said you would. You were true to your word, our agreement, and everything your website stated. Again, I cannot think you and your staff enough for playing such an indispensable role in my fiancee and I beginning our new life together. Thank you! Thank you! Thank you ! 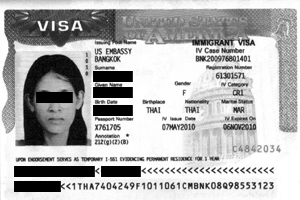 I would whole-heatedly recommend your firm to anybody wishing to bring their Thai fiancee or wife to America. I would caution any body who thinks it is easier to do on their own and save some money. Your fees are more than reasonable, and obtaining a successful visa, and having your wife or fiancee with you is truly priceless.